Cute and Cotton rich, this pack of five pairs of Baby Elle White Plain Socks is designed to protect and encourage little feet to be healthy, so while your baby enjoys the supersoft feel, you’ll appreciate the pretty style and quality. 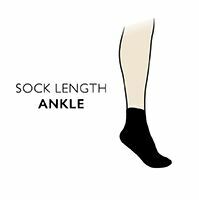 The fine, soft socks have gently elasticated turnover tops that can be worn longer if you want to cover up the gap between little ankles and clothing and hand linked toes for smooth seams to reduce any chance of irritation. Baby Elle Bright Plain Socks are fully machine washable and have the ‘Baby Elle’ logo on the foot.